Prepare to answer scientific research questions and learn to work independently in a laboratory setting in HudsonAlpha’s free after school program Launching Aspiring Biotechnology Scientists – or LABS. 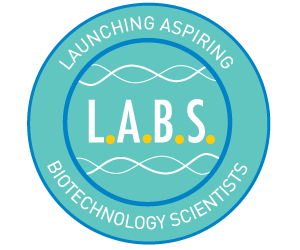 LABS equips high school students from disadvantaged and under-represented populations with the skills and knowledge essential to confidently take the “next steps” towards participating in tomorrow’s stem-based workforce. 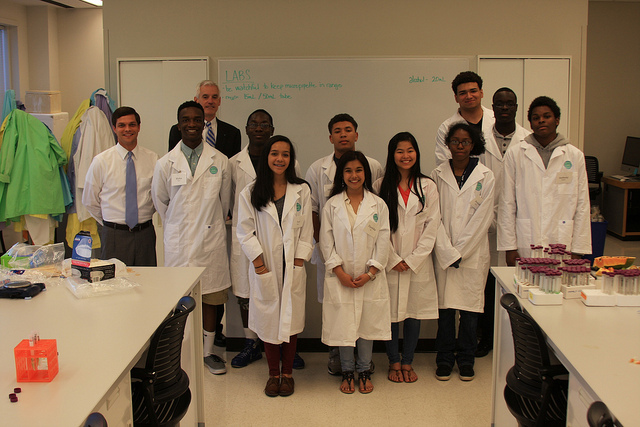 This program gives students the opportunity to work independently in HudsonAlpha’s state-of-the-art facilities, making them ready to take advantage of future laboratory opportunities. Students must be enrolled in 8-11th grade upon time of application. Participants who are selected in the 2019 cohort will commit to engage, grow and learn together over two semesters (Fall 2019 and Spring 2020) with a culminating one-week summer experience in 2020. 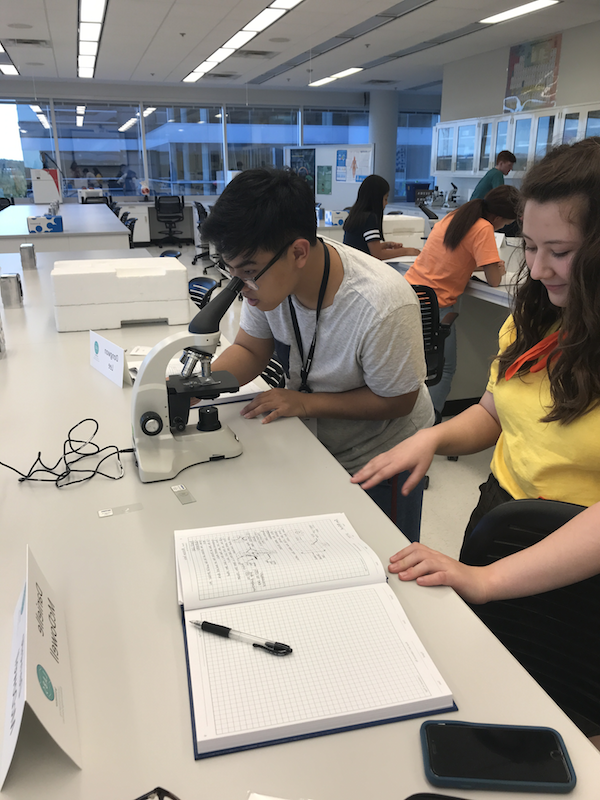 Students will meet in the educational labs at the HudsonAlpha Institute for Biotechnology on Tuesdays and Thursdays from 4:15 to 6:15 pm for six weeks each semester. The week-long summer 2020 experience will be held from 8-5 pm with lunch and snacks provided. Applications for the 2019 LABS cohort (Cohort III) open January 30 and close March 29. A selection committee will choose which students will be invited to participate in the program, and students will be notified of their selection by May 2019. The program includes a parent orientation the week before the first session in September 2019. The goal for our LABS program is to provide experiences to students who are either underrepresented in the sciences (in gender or race) or disadvantaged (based on ability or access or lower income households) and who might not traditionally have this opportunity. While special consideration will be given to students who fall within those parameters, we invite any high school student who meets the grade requirements to apply! Please contact us at edoutreach@hudsonalpha.org if you have any questions.